"Plenty of Magic" Reviewed by RadioIndy.com! 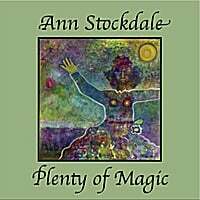 I have just uploaded a few tracks from my new cd, "Plenty of Magic". i feel that our New Frontier is all about creating a Clear Space around ourselves which no one can defile! It's about finding and enjoying the Soul Magic that each of us was born with.. and living in Love, not Fear. 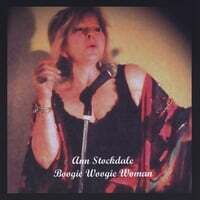 With the instincts and wiles of a seasoned pro, Ann Stockdale hits all the right notes throughout a diverse mix of Americana music styles on the blues and jazz vocalist’s latest CD, “Boogie Woogie Woman.” Following the path that brought musically like-minded Norah Jones to stardom, Stockdale leaves no stone unturned over the course of a 10-song album that deftly shifts between piano ballads (“Here Comes My Baby”), jazz-inflected boogie tunes (“Boogie Woogie Woman”), Sonny Terry-ish country blues (“Understanding Heart”), blues-rock (“After Memphis”), traditional country (“Hank Williams”), and even zydeco blues (“Movin’ On”), expertly guiding a band that knows these particular backroads of roots music as instinctually as their leader. What ultimately makes the terrific “Boogie Woogie Woman” CD shine, though, is Stockdale’s finely-aged voice, an instrument tailor-made for her heartfelt explorations into America’s rich musical traditions.